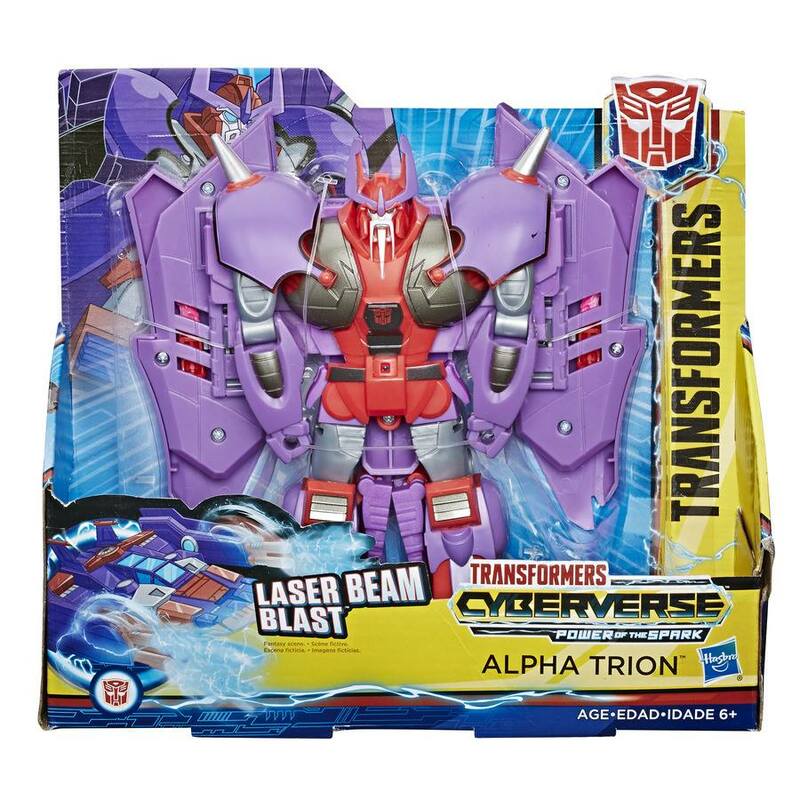 Via InDemand Toys on Facebook we have our first in-package image of the new Transformers: Cyberverse Power Of The Spark Ultra Class Alpha Trion. Alpha Trion is part of the Cyberverse Ultra Class Wave 4 (together with Prowl) and it’s a complete new mold with a cool “Laser Beam Blast” Action Attack, with 2 laser beams from each side of his starship mode. Check out the attached image after the jump and then share your impressions on the 2005 Boards! A Couple more smokescreen links. Robotkingdom- Transformers Generations Select DELUXE SMOKESCREEN. Preorder. Start Shipping on 16 September 2019. More stock photo's of Cliffjumper. It's weird… The detailing is bizarre in any case because Bumblebee's face can be nightmare fuel, but it's odd how in red he's even more horrifying than in yellow. Here, he looks like he's coming for your soul. I do have to wonder how badly the Bumblebee line performed… Most stores around me have ditched it, Target seems to be the only one stocking anything of it. Tiny Turbo Changers Series 5 bagged single figure packaging stock photo (European packaging) courtesy of Hamleys. Still looking for a stock photo of the entire case, and/or maybe US/Cnadian packaging! Looks like in-demand toys got you. So it looks like we may be waiting to wave 9 for Scrapper, Or Mixmaster if wave 8 is just repacks unless of course Rampage is a Yellow repaint. I believe that’s in AUD? Though maybe the site converts to USD. It’s EB in Oz either way. Ah I didn't realize it was AU. Thanks!